I just got home from the annual Miata Day show on the lawn, which I’ll be posting up on Right Foot Down. Inside the museum itself, they had not cars this time, but bikes. Lots of bikes. 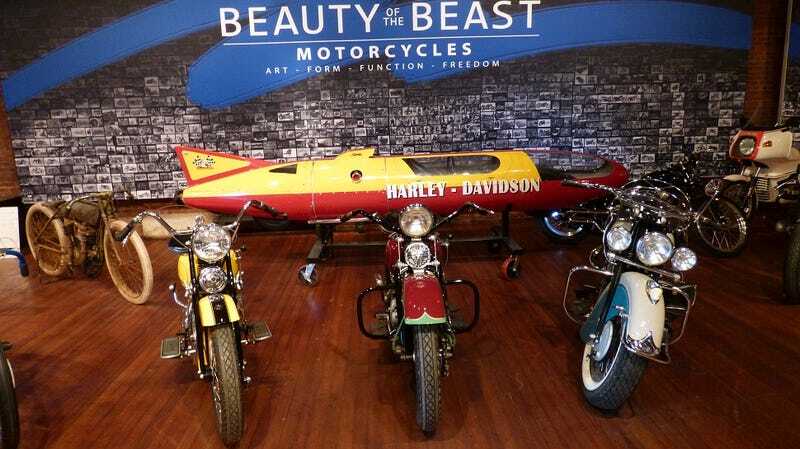 The Beauty of the Beast exhibit will be on display at the Larz Anderson Auto Museum in Brookline, MA through May 2016.